William Lamar “Billy” Beane III was born on 29 March 1962, in Orlando, Florida USA, and is a popular former baseball player, who is now working as an Executive Vice-President and one of the owners of the Oakland Athletics MLB team. Billy’s net worth started to grow when he was professional baseball player and continues growing now as he is a front office executive. So just how rich is Billy Beane? Sources estimate that as of mid-2016, Beane’s net worth is over $6 million, which seems likely to grow as his current salary is over $1 million; his wealth had been accumulated largely from his involvement in baseball over the last 35 years. Billy’s father was in the US Navy, and the family moved to San Diego where he attended Mt.Carmel High, and showed an interest in basketball, baseball and football. He was a star at baseball, attracting the attention of many MLB clubs, eventually being selected 23rd in the 1980 MLB Draft by the New York Mets, as Billy even declined a scholarship from Stanford University in order to be able to play professional baseball. This decision would add considerably to Billy Beane’s net worth, beginning with a $125,000 signing bonus. However, Beane wasn’t called to the senior team until 1984, but continually had a problem meeting the required standard of playing at the top level, and in 1986 Billy was traded to the Minnesota Twins. Here he was again relatively unsuccessful, appearing in less than 100 games over the next two seasons with limited success, so he was traded to the Detroit Tigers in 1988, where he played just six games before he was traded to the Oakland Athletics, playing just 37 games in the 1989 season. Although Billy’s career in these baseball teams was not so successful, he still gained considerable net worth. 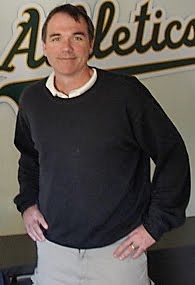 In 1990 Beane decided to change his job, and became an advanced scout for the Oakland Athletics, and was promoted to the position of General Manager in 1993. Beane’s career in this position has been successful, including managing to improve the team’s results. This job is one of the main sources of Billy Beane’s net worth, and Billy was so good at his work that Sports Illustrated included him in the list of Top 10 GMs/Executives of the Decade as the number 10. In 2015, Billy was promoted to Executive Vice President of Baseball Operations for the Athletics. Aside from baseball-related work, Billy also has other activities which keep him busy, and help him to gain even more money. In 2007 Billy became involved in the NetSuite company on the board of directors. Beane was also a consultant for the video game MLB Front Office Manager. Another interesting fact, and a source which adds to Billy Beane’s net worth, is the best selling book, written by Michael Lewis, “Moneyball: The Art of Winning an Unfair Game”, which tells the story of Billy himself. Later this book was adapted for the movie “Moneyball”, directed by Bennett Miller, with Billy Beane being played by Brad Pitt. In his personal life, Billy has married twice – he has a daughter from his first marriage, and twins with second wife Tara who he married in 1999.